Welcome to our great City & your one-stop resource for anything and everything to do with Trenton real estate, military relocations, the Quinte area and community information. Start your real estate search with the latest Quinte MLS® listings, view the latest Trenton and Quinte Housing Price Stats and get Trenton and Quinte School information. 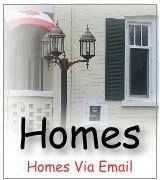 Whether Buying or Selling in Trenton and the Quinte area, get all the information you need from this site. WE are Trenton's Military REALTOR® and our goal is to provide you the highest level of service and professionalism that the public has expressed a real need for. We take a very simple approach to everything we do. What would I want if I were the customer? Does it provide my client a tangible benefit? Will this help my client? If the answer to the above questions is YES, then I do it. 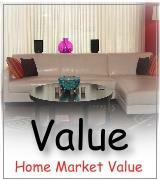 Your two most valuable assets are YOUR FAMILY and YOUR PROPERTY. I believe the role of a REALTOR®, is to guide you through the buying and selling process, and taking the time to make sure you understand every step of the transaction. Trust is hard to come by in today's competitive real estate market. We are here to provide you with the professionalism and integrety you deserve to ensure that you feel secure in what can be the biggest decision of your life. Our success in Life, and in Real Estate is a reflection of our Passion for this business and the people we serve. Whats My Quinte Home Worth? 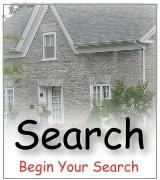 Find out what your Quinte home is worth by clicking here.